Iain Donnell is a criminal defence lawyer in Keswick, Ontario with the experience to help you navigate what is an often frightening and complex criminal justice system. Protect you rights, freedom and future. If charged in Keswick or anywhere in Simcoe County or York Region – Remain silent and contact Iain Donnell. Once retained as your counsel, Iain dedicates himself to your case and works tirelessly to achieve the best possible outcome for you. Iain and his dedicated team are there for you every step of the way. Iain and his team will do everything within their legal power to help you. The primary focus of Iain’s practice is criminal defence law. He is also well regarded for his work in human rights, civil litigation, and municipal litigation. Iain and his team have proudly served the people of Keswick and the broader Simcoe County form over 25 years. 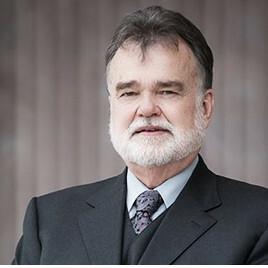 Iain has extensive trial experience and regularly appears before the Ontario and Superior Court of Justice. Criminally charged in Keswick or anywhere in Simcoe County?